Director Julia Haslett has taken on Simone Weil, French activist and philosopher, in a new documentary that is perfectly appropriate for this time. Weil, whose seminal works and life dealt with the pain and suffering of humanity, would be horrified by the global events that technology brings so daringly close. Weil came of age between the two World wars and experienced first- hand the cruelties of Fascism and Communism along with the poverty of the Great Depression. Her commitment to feeling the pain of others first hand, took her to Spain to fight Franco; to a factory job to experience the psychic death of a wage slave; and to join the French resistance when her own health was in peril. Weil was a witness to the horrors of history. But could she change anything? Haslett deals with these questions, but also holds up a mirror to herself. Coming from a suicide –prone family, Haslett questions her own commitment to the suffering of those close to her and to the political and economic conditions of the world. She wants desperately to understand what makes Simone tick as if that might help her make peace with her own sadness for her family as well as her limitations. To affect this, she uses an actress to play Simone, perhaps hoping to channel an understanding with this enigmatic woman. Long after her death, Albert Camus, a great admirer, paid a visit to Weil’s room before accepting his Nobel Prize. Alive or dead, she carried a powerful message. It may have been more satisfying if Ms. Haslett’s troubled and talented brother older had played these scenes with the Weil actress instead of the director. His life had been dedicated to Black Studies and political action, suffering depression but carrying on with his activism and intellectual pursuits. Could the penetrating spirit of Weil and her insights have helped him fight his pain? An Encounter with Simone Weil is a film that both fascinates and troubles. Is Simone Weil an inexperienced, though brilliant masochist that we must we compare to our own selfishness …she with so much moral certainty. Is the destiny of suffering imbedded in stone so deep that interference only leaves us broken from the effort? And does it matter? Probably yes. Weil herself said that “attention is the rarest and purest form of generosity.” Ms. Haslett is generous and has made a film that pays attention. The wide range of music by composer Daniel Thomas Davis contributes a great deal to the film. The film opens March 23rd at the Quad Cinema. Tina Howe‘s Painting Churches at the Keen does honor to her intelligent writing. A play that deals with aging parents serves up the baby-boomers with perfect timing… what with dementia being the new way to be confused. Kathleen Chalfant is fabulous with her thrift store hats and powerful psyche… and John Cunningham could most certainly be a Pulitzer poet out of step with his life. The real problem is the daughter Megs,who plays one note throughout the play and not an interesting note at that. She may had her reasons for leaving her elderly parents to their own devices, but I can imagine they were happier without her dullness… Ms. Chalfant who just was on a panel at Revolution Books about the brilliant and relevant production of The Illiad is such a treasure. Worth it to see her and ignore the stuff that falls from the ceiling before the second act. It doesn’t work. 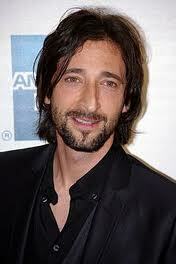 Run to Detachment, the new Adrian Brody film about schools, our kids and the way the adult world betrays them. Written by an ex school teacher and directed and shot by Tony Kaye, it’s a spell-binding film that rides the edge of its characters’s lives so closely, that at any point you expect to skid and go splat. Though some of the smaller roles like the grandfather could have been better cast , for the most part everyone seems authentic in their characters, even James Caan‘s hyper-real tour de force in your face monologue. But next to Mr. Brody, ultimately everything pales. He is such an authentic performer, with so much tenderness in his face, that you feel all of the world’s compassion must sit in his very heart. It’s a film about love, how hard it is to find; how easy it is throw away and how necessary is it to pick up once again. And on a surprsing note, Davy Jones who just passed away, was according to my sister, living only 25 miles from my hometown in Pa. I always thought he was English… was that a character he played in The Monkees? Let me know. May he RIP.